My daughter absolutely loves to dance; her speciality mini moves at the moment seem to be the leg stomp and the full body shimmy. There’s something brilliant about the unselfconscious joy of toddlers dancing, isn’t there? 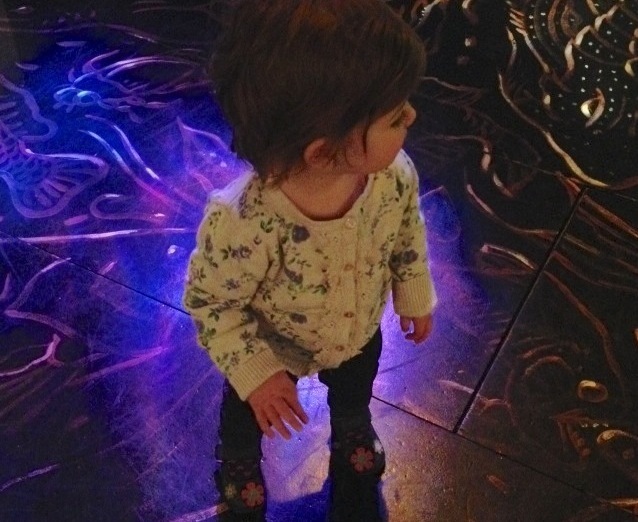 After I wrote about our list of things to do in London for toddlers, I remembered Big Fish Little Fish, afternoon dance parties for families with children under seven (tagline – for 2-4 hour party people). Big Fish Little Fish events were born out of a desire to create child- friendly social gatherings that grown-ups could enjoy too. They combine adult-credible DJs playing good music that’s suitable for little people to dance to – as someone who still suffers from an eternally annoying Gymboree earworm, this sounds great to me. There’s a a chill-out space for babies and toddlers and a whole host of child-friendly fun (like a bubble machine, a parachute dance, ball pool and inflatables) and there’s also a bar for the older generation. The events run monthly in both Brixton and Crouch End. We were supposed to go to the launch last year and couldn’t make it, but it’s definitely something we’ll be checking out soon; I reckon Eliza will love it. 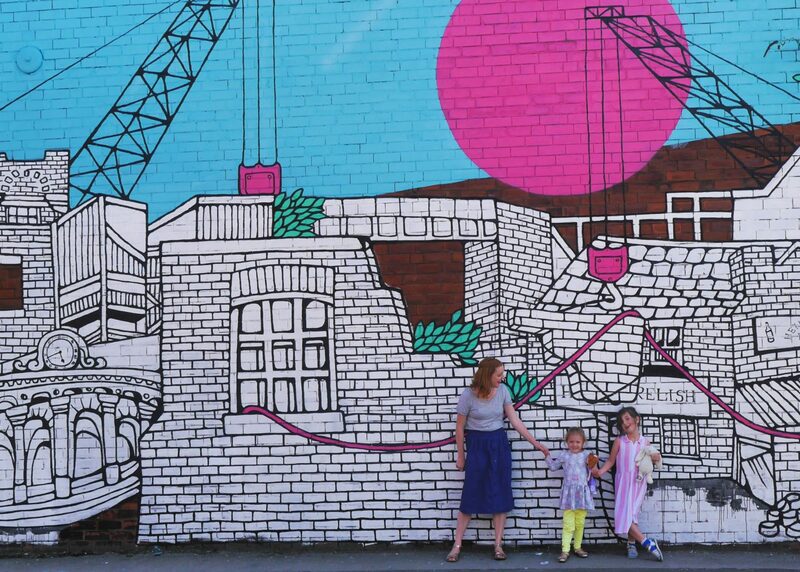 It looks like a brilliant way to wear your children out that’s not the dreaded soft play. And there’s a bar. What more could everyone want? 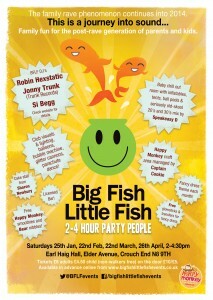 Big Fish Little Fish events run monthly in both Brixton (Effra Social, 89 Effra Rd, SW2 1DF) and Crouch End (Earl Haig Hall, Elder Avenue, N8 9TH). Tickets are available via the website.